Russian President Vladimir Putin’s trust rating in Russia has dropped to its lowest point since 2006. The poll conducted by the Russian state pollster Public Opinion Research Centre found that 33.4% of Russian citizens currently trust their President, according to reporting by Reuters. 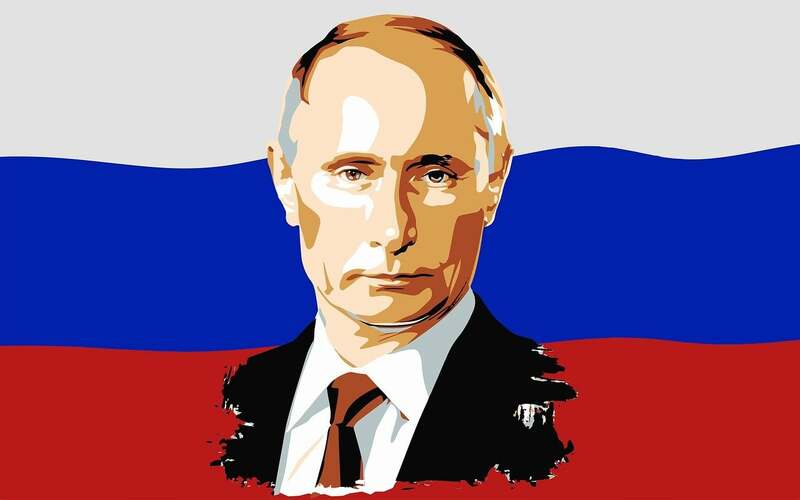 However, President Putin’s approval rating currently sits at 63% and doesn’t present an electoral challenge for him as he won a new six-year term in March of last year. His re-election was met with calls of election fraud, as reports of individuals voting multiple times arose on election day. Putin’s critics and proponents of democracy also pointed to the convenient jailing of his main opposition Alexei Navalny months prior to the election. “We know the Kremlin takes these figures incredibly seriously, so we should pay attention to them,” said Ben Noble, a Russian politics lecturer at University College London when speaking to Al Jazeera about the recent polls. “Putin promised to make Russia great again [following economic turmoil in 1998]. To make it rise from the ashes of the Soviet Union and become a great power again by voicing Russia’s concerns on the international arena, Russia style,” said Mathieu Boulegue, a Russia and Eurasia research fellow at think-tank Chatham House said to Al Jazeera. “The Russian system can no longer deliver the social contract that was implicitly offered to the population when Putin came to power,” he also commented. Western sanctions that began in 2014 due to Russia’s incursions into Ukraine hurt the economy, by Vladimir Putin’s own admission. The economy turned inward, relying less on imports the Russian state-sanctioned in retaliation. Agribusiness boomed, but even the farmers aren’t all that excited about Russia these days. Blame the government. Less than 50% (46% to be exact) of agribusiness managers surveyed by the NAFI Research Center said they trust the government. “Russian authorities on January 23, 2019, opened their first criminal case against a Russian activist for alleged involvement with a so-called “undesirable” foreign organization,” said the Human Rights Watch (HRW) explaining the arrest of Anastasia Shevchenko, a local coordinator of the Open Russia Civic Movement (ORCM). She was placed under house arrest by the government. “ORCM is an unregistered pro-democracy movement of Russian citizens, founded in 2016, which Russian authorities view as part of an organization registered in the UK under the same name and banned by Russia in 2017. Activists have repeatedly said that they are not connected to the banned UK-based organization,” HRW continues. “The criminal prosecution of Anastasiya Shevchenko is a blatant attack on freedom of association in Russia,” said Rachel Denber, deputy Europe and Central Asia director of HRW. “Both the draconian law and this prosecution are being used solely to intimidate activists trying to counter corruption, election fraud, and human rights violations in Russia,” she continues in the memo. The economic and human rights unrest are indicators of why many Russians are losing trust in their government. Yet, Putin’s personal approval rating remaining above 60% indicates the populace has yet to completely lose faith in his leadership, despite the lack of trust in him. Will This Trend Continue For Putin? President Putin has been ridiculed for his authoritarian nature on the international and domestic stages since he rose to power in Russia. If the Russian economy doesn’t find stable footing in the near future, protests against his leadership could grow and spark a vocal and populous opposition against him and the All-Russia People’s Front and United Russia parties. However, it’s far too early to know how large of an activist uprising is developing in Russia without being in the country or having a source within the movement. Although, recent history lends to believe that without drastic changes from Putin and his administration protests could fill the streets of Russia as citizens feel further desperation.